Menulog and UberEats have tied equal first in Canstar Blue’s 2017 restaurant delivery awards. 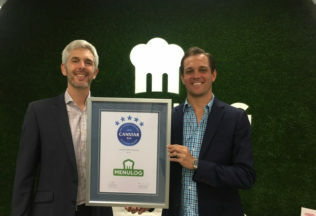 Both Menulog and UberEats received the highest scores by Australian consumers when it came to judging customer satisfaction, delivery reliability, value for money, customer service, website navigation and variety of meals. Eatnow.com.au received 4/5 stars for overall satisfaction, delivery reliability and website navigation. The online delivery service was awarded 3/5 stars for value for money, customer service and variety of meals. Deliveroo scored 3/5 stars for overall satisfaction, delivery reliability and value for money. The service received 4/5 stars for customer service, website navigation and variety of meals. Scores were based off a survey of 3,000 Australian adults. In announcing the results, Canstar Blue said it is well worth the effort of Australians to explore the different food delivery services available to them. “The great thing about restaurant meal delivery services is that you really can sample your options without breaking the bank or making any commitments,” Canstar Blue said.